In this classic work, Carnegie offers a set of practical formulas that you can put to work today. It is a book packed with lessons that will last a lifetime and make that lifetime happier! This book will explore the nature of stress and how it infiltrates every level of your life, including the physical, emotional, cognitive, relational, and even spiritual. Through techniques that get to the heart of your unique stress response, and an exploration of how stress can affect your relationships, you’ll discover how to control stress instead of letting it control you. This book shows you how. Using the power of habit and several techniques for smoothing out the stressful wrinkles in our day-to-day lives, we’ll move towards a real-world solution to living with less stress, more confidence and a deep spiritual resilience that will insulate you from the inevitable pressures of life. 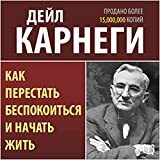 This is an audiobook on leadership from someone who has never read a book on leadership in his life. While building the Virgin Group over the course of 40 years, Richard Branson has never shied away from tackling seemingly outlandish challenges that others (including his own colleagues on many occasions) considered sheer lunacy. He has taken on giants like British Airways and won, and monsters like Coca-Cola and lost. Now Branson gives an inside look at his strikingly different, swashbuckling style of leadership. Learn how fun, family, passion, and the dying art of listening are key components to what his extended family of employees around the world has always dubbed (with a wink) “the Virgin Way”. This unique perspective comes from a man who dropped out of school at 16, suffers from dyslexia, and has never worked for anyone but himself. He may be famous for thinking outside the box – an expression he despises – but Branson asserts that “you’ll never have to think outside the box if you refuse to let anyone build one around you”. 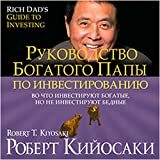 Rich Dad’s Guide to Investing [Russian Edition]: What the Rich Invest in, That the Poor and Middle Class Do Not!